Our starter kits allow you to create your brand identity in minutes. Everything you need to get started is right here. Business cards printed on a 16Pt thick stock with high-quality gloss coating. Personalized 8.5" x 11" letterheads and #10 envelopes. Folded note cards with envelopes to make an announcement, or simply get connected to your customers and community. All the things you need to get started are right here in this starter kit - and yes! - these packages can be used by new agents and established ones, too! 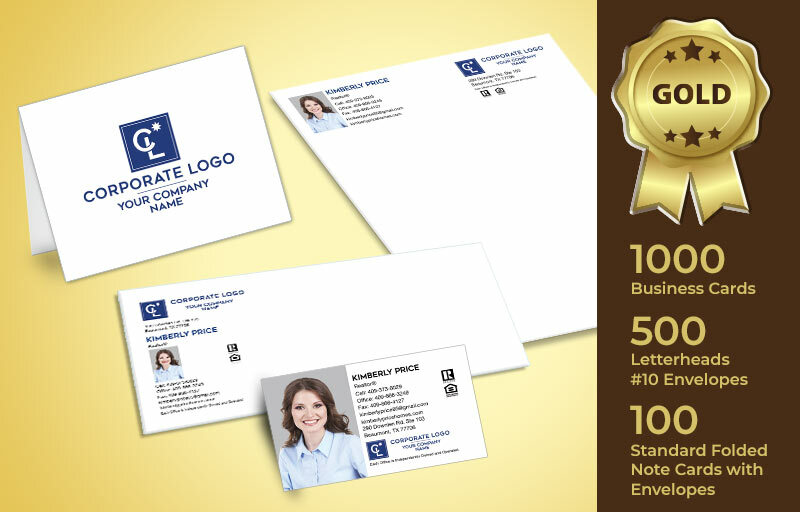 ■ 1000 Business Cards 500 Letterheads 500 #10 Envelopes 100 Standard Folded Note Cards with Envelopes A $35.00 store credit for your next order Free Shipping Original Price $749.99. Now only for $634.99. 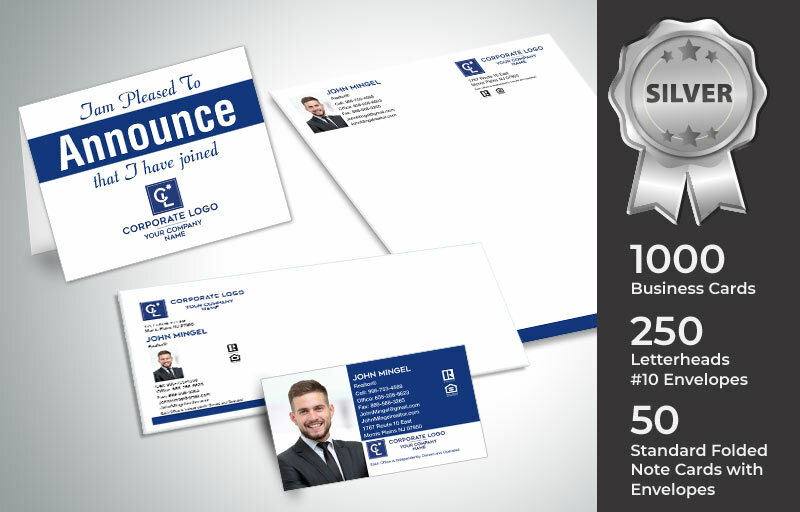 ■ 1000 Business Cards 250 Letterheads 250 #10 Envelopes 50 Standard Folded Note Cards with Envelopes A $20.00 store credit for your next order Free Shipping Original Price $479.99. Now only for $349.99. 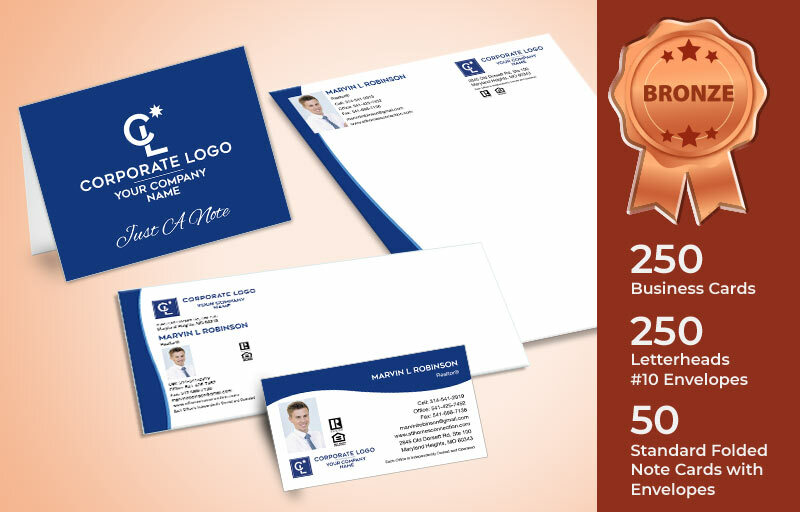 ■ 250 Business Cards 250 Letterheads 250 #10 Envelopes 50 Standard Folded Note Cards with Envelopes Free Shipping Original Price $299.99. Now only for $259.99.